Do you have your pencil? 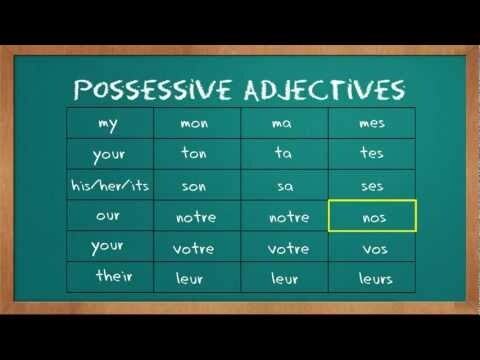 These are called possessive adjectives. IMPORTANT: It's tempting to try to 'agree' these with the gender of the owner but only the first letter is determined by the owner (m = my; t = your, s = his/her) etc. The rest of the adjective is related to the gender and number of the thing they own. Il équipe sa voiture d'un gyrophare. He's fitting his car with flashing (police) light.